Fresh. Unique. Classic. If I were to describe Profumo Di Firenze 1954: Terrarossa in just 3 words, these would be it. It was a blind online buy. I had never heard of this perfume before, and there was barely any information about it online, which is unusual, so I kept my expectations low. It went above and beyond any expectation I could have had though! It's a huge, very heavy 100 ml bottle with a very masculine design, however it's very easy to wear for both sexes. 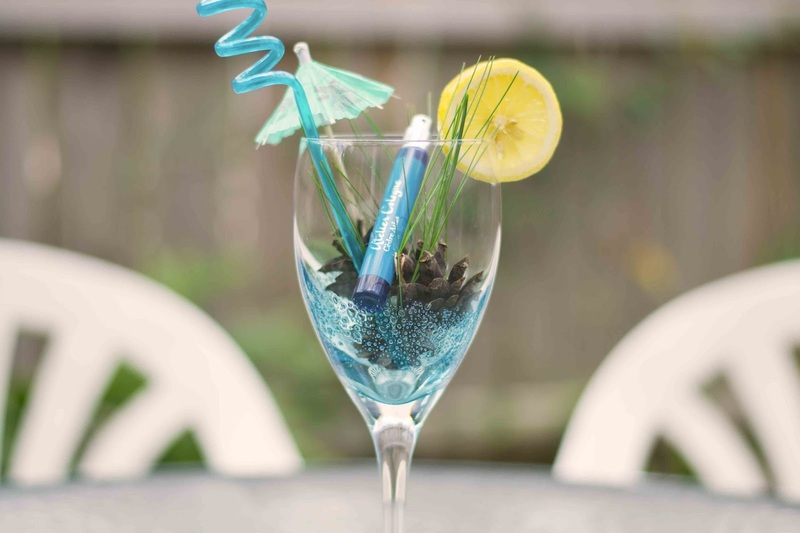 The perfume is an elegant blend of fresh citrus fruits. Top notes are vibrant and juicy with Calabrian bergamot, sweet orange and neroli from Tunisia; the heart is Indonesian nutmeg with ylang ylang from Polynesia, and Tuscan cypress; and the base reveals Haitian and Javanese vetiver. The blend is unbelievably pleasant, and it gives good silage. It doesn't last on skin as long as I'd like but it lasts for a couple of days on clothes. I generously spray it on my scarves and it gives an unforgettable and happy scent every time I wear or walk by it. 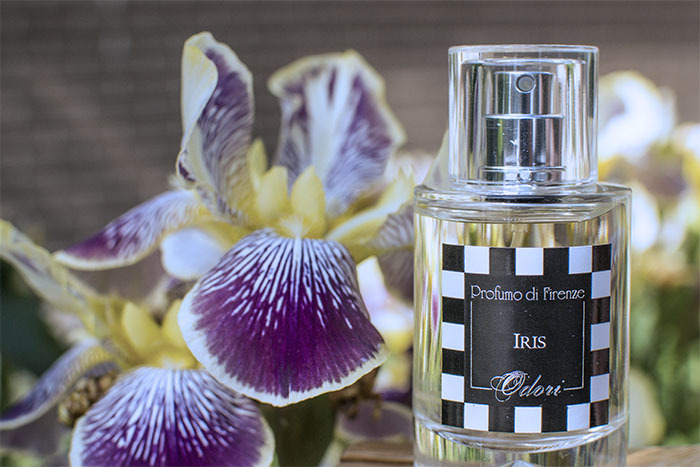 I'm always on the look out of something different and not mainstream, and Profumo Di Firenze 1954: Terrarossa is it for me! Is it typical to strongly associate a certain event in your life with a fragrance that either you or somebody else was wearing at the time the event happened? 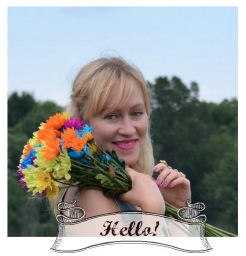 I am one of the people whose scents and memories go hand in hand. I have some fragrances that I almost never wear but I keep them as a reminder of my first "something". For example, Chanel Chance reminds me of the time when I moved to live in a different city, and started adult life away from my family. I also have a tendency to pick a perfume specifically for traveling so that every time I smell it, it would only remind me of the time and place where I was doing something new and exciting. That's why I love small travel size perfumes, and when I'm at Sephora, I can't help buying something new. Most of the time I prefer spray bottles, rollerballs don't seem to last and I can't wear the scent in my hair like I prefer. I got Cedre Atlas right before my trip to Northern Michigan. 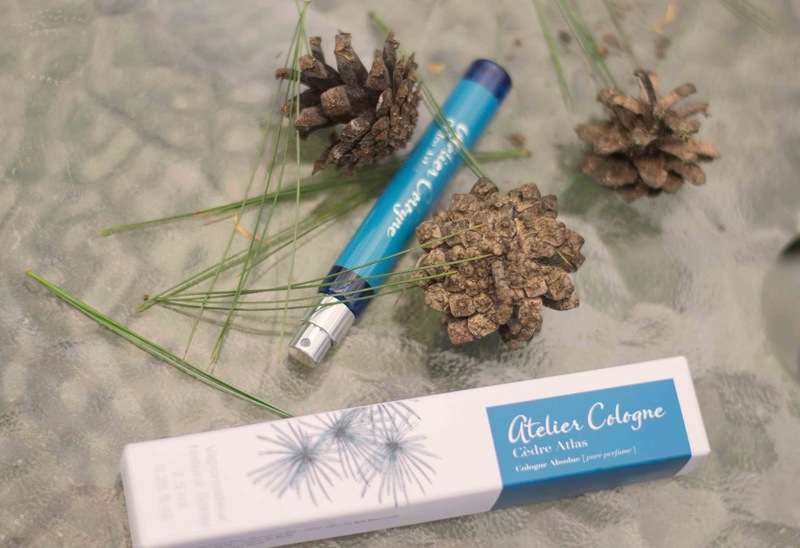 This scent is one of the four scents in Atelier Cologne's Azur Collection. 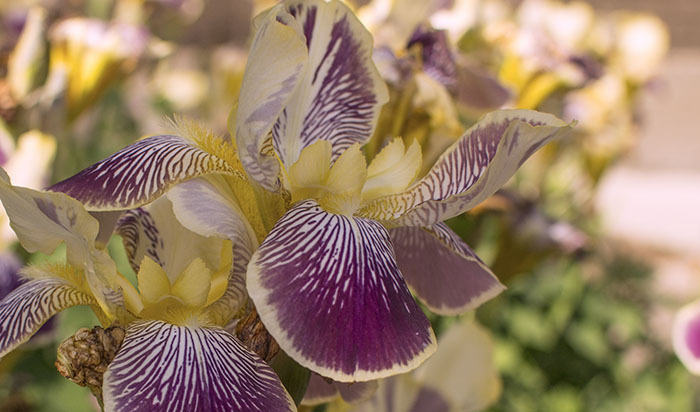 Cedre Atlas attracted me with its natural freshness and masculinity. I wanted something bold yet simple and refreshing, something different from what I usually gravitate towards (spices, vanilla, powdery notes). 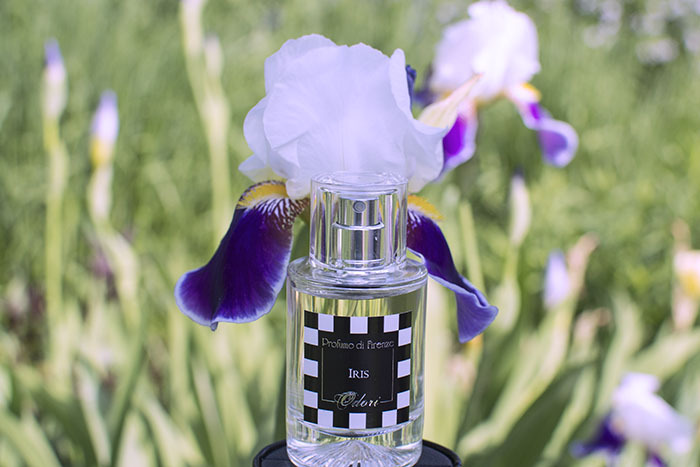 Cedre Atlas can be described as a walk in a forest with fresh air and rejuvenating calmness. 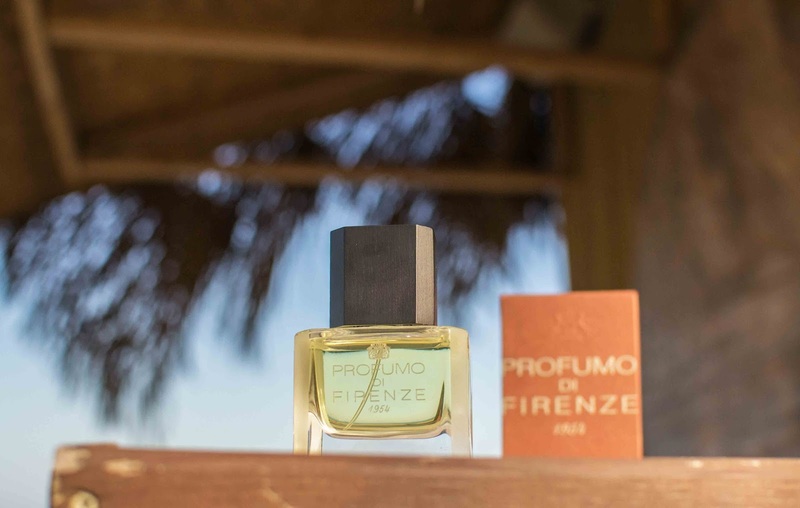 The notes include bergamot, lemon, black current, cedar, jasmine, apricot, white amber, papyrus and vetiver. It's a unisex fragrance, however, some ladies may find it too masculine. 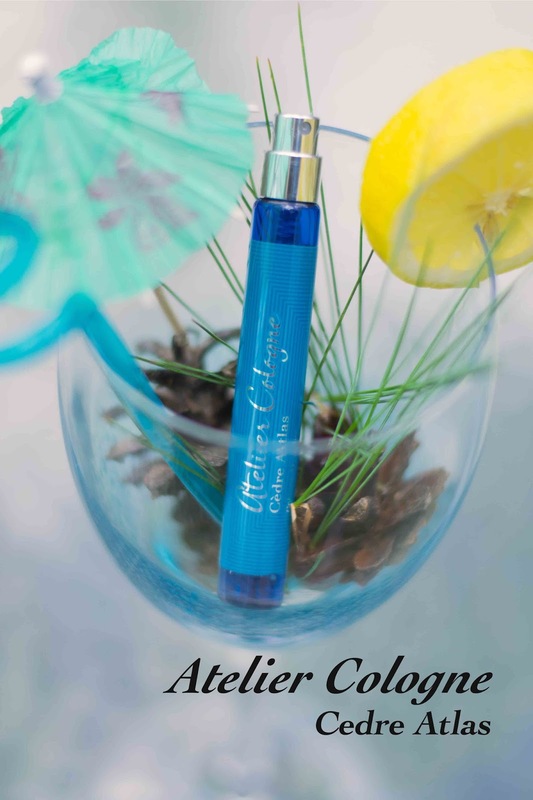 Atelier Cologne Cedre Atlas is perfect for summer, it's longevity is moderate, and it gives just a subtle sillage - all I need on a hot summer day! У меня воспоминания и запахи как одно целое и часто я храню парфюм, как напоминание о каком-то моменте своей жизни. И, если запах сильно ассоциируется с прошлым, я его просто не смогу носить сейчас, несмотря на то что он мне может до сих нравится. Например, ароматы Шанель (Мадмуазель и первый Шанс) ярко ассоциируются с моей жизнью в Питере, о чем иногда мне вспоминать приятно, но носить их я уже не могу. Я также заметила за собой такую привычку, что перед какой-то поездкой я всегда стараюсь выбрать новый для себя аромат и небольшие пробники очень спасают. Заглянув в Сефору, я часто ухожу с какой-нибудь миниатюркой. Например, пару недель назад перед поездкой на озеро Мичиган, я купила Cedre Atlas от Atelier Cologne из их недавней коллекции Azur. Подобные запахи мне несвойственны, я чаще предпочитаю что-нибудь восточное, немного сладкое или пудровое. Древесные ноты, как и ярко выраженные ноты белых цветов , у меня вызывают головную боль. Несмотря на то что этот аромат для меня чистый кедр, носить мне его очень легко. Аромат содержит ноты бергамота, лимона, черной смородины, кедра, жасмина, абрикоса, белой амбры, папируса и ветивера. Кедр Атлас может показаться мужским запахом, т.к. в нем солируют деревяшечки и ветивер. Для меня этот парфюм - то что надо на лето, не навязчивый, свежий и неожиданно сильный. Держится он не очень долго и дарит тонкий шлейф при нанесении на волосы. It's been a while since I was so excited about buying a new perfume; I was impatiently checking the tracking update on the UPS site several times a day. The eagerness to smell Vanilla Flash was overpowering me :). 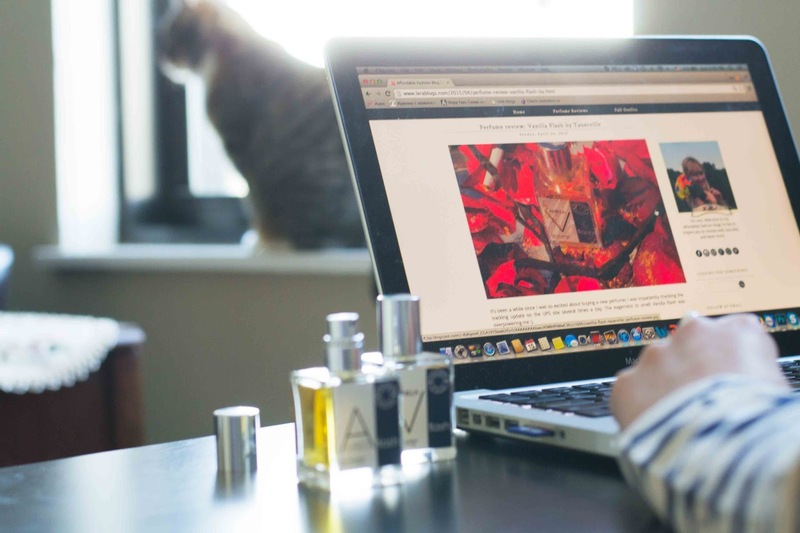 Tauerville is the more affordable perfume line from Tauer Perfumes by Andy Tauer, favorited by many perfume lovers. 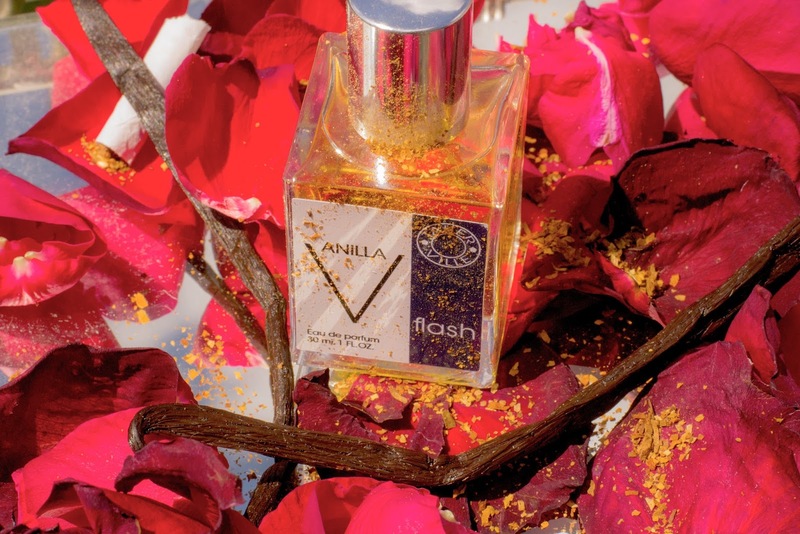 The very first Tauerville perfume was Rose Flash Parfum Extract; it garnished many positive reviews, and when I saw the notes for Vanilla Flash, I ordered it immediately based on the good reviews and the notes. Both perfumes are new and came out in 2015. 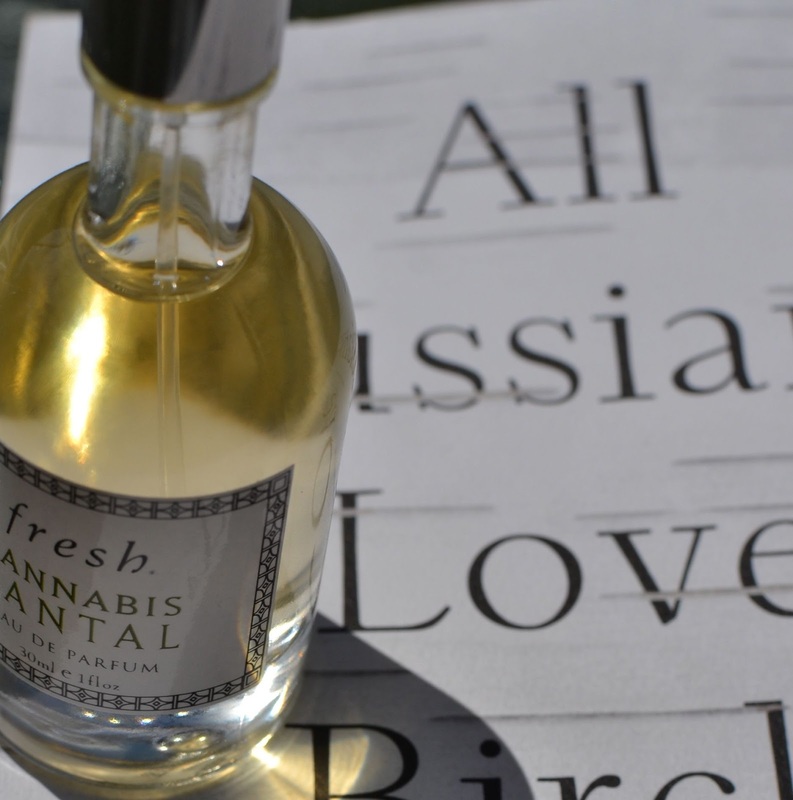 The notes in Vanilla Flash are Spices, Vanilla Bourbon, Rose, Patchouli and Tobacco. The packaging is quite modest and very simple. I'm guessing it brings the price down quite a bit. I am a big fan of Tom Ford's Tobacco Vanille, so I had to get this affordable version. Vanilla Flash (VF) is not exactly like Ford's Tobacco Vanille but its dry down seems quite like it. VF is spicier at the beginning, it's heavier and lasts longer than Tobacco Vanille but it also feels less sophisticated to me, and kind of raw. It's a unisex perfume, and I have a feeling it'll give a gorgeous seductive smell to a man. And because of that, even though it's vanilla, the scent is not really a girly girl scent. I'm not a huge fan of vanilla but I do enjoy it in combination with masculine notes. Sadly, I don't smell Rose note on my wrist at all but I do when I smell the flacon. Actually, I like the smell directly from the bottle more than the smell on my wrist. If you like vanilla but maybe Tom Ford perfumes seem unreasonably expensive, this is a pretty decent version to try. I used to be so conservative in the past, and if a perfume bottle said "pour homme", I'd never look in its direction when I needed a perfume for myself. Nowadays, with the popularity of unisex fragrances, the lines between feminine and masculine are blurred; and my nose is quite open for different experiences. 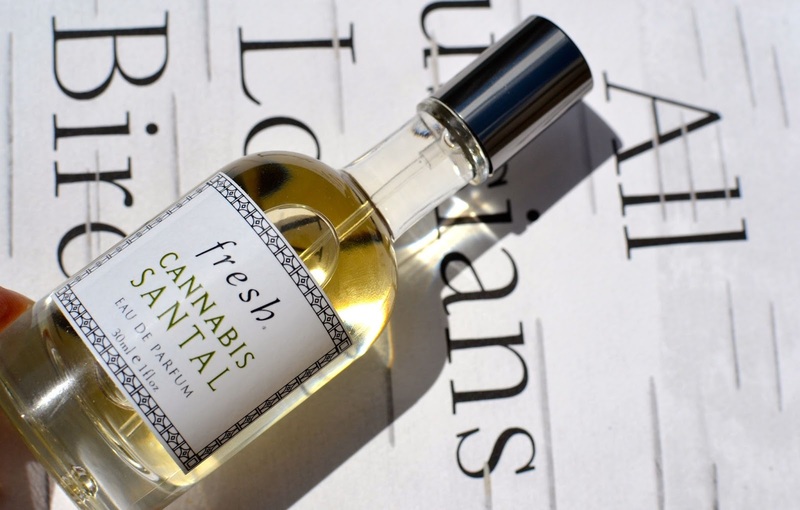 Intrigued by the name Cannabis Santal, and ignoring the fact that it was intended for men, I got it online for my birthday. Do you have/wear any men's perfumes? What's your experience? Конопля и сантал...интригует. И я, не смотря на то, что этот парфюм предназначен для мужчин, захотела его для себя. Хотя сейчас границы между мужскими и женскими парфюмами очень размыты и везде главенствует унисекс, для меня это первая покупка мужского парфюма. Пользуетесь ли вы мужским парфюмом?